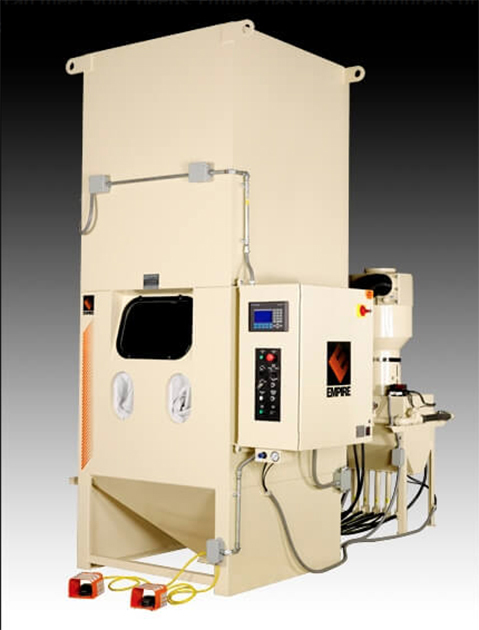 Rodeco can fit you with a customized blast cabinet to meet your unique needs. We offer an economical approach to specialized finishing and surface preparation. If your application is highly specialized, you can take advantage of the benefits of a Pro-Finish system. We can economically tailor a cabinet to meet your specific needs and reduce lead times over custom engineered purpose-built equipment. 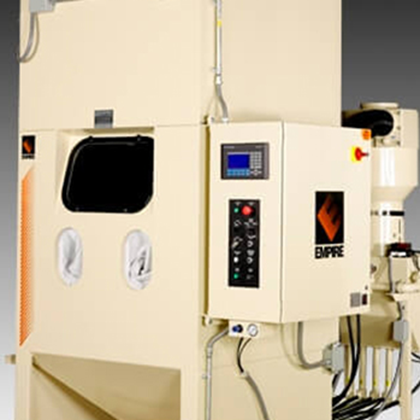 Empire's Modified Pro-Finish® Cabinets offer you an economical approach to specialized finishing and surface preparation. If your application is highly specialized, you can take advantage of the benefits of a Pro-Finish system. We can economically tailor a cabinet to meet your specific needs and reduce lead times over custom engineered purpose-built equipment. 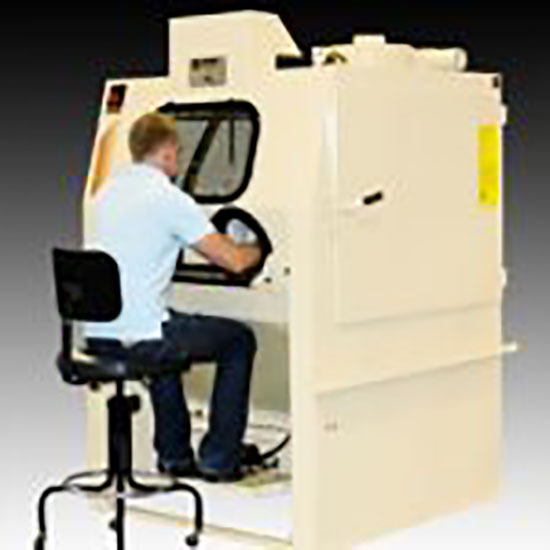 Empire Modified Pro-Finish® Cabinets are re-engineered to meet individual work piece and process requirements. If you are confronted with a unique application or want to accelerate production rates through partial automation, Empire can meet your needs. Empire has created hundreds of modified cabinets to satisfy focused customer needs in a wide range of industries. 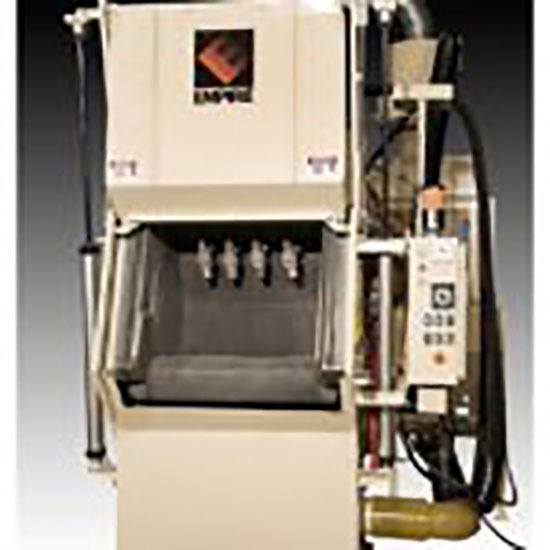 Pro-Finish® systems offer perfect combinations of equipment performance and the versatility of modular designs. Backed by the best warranty in the industry - Three Years Limited Warrenty! 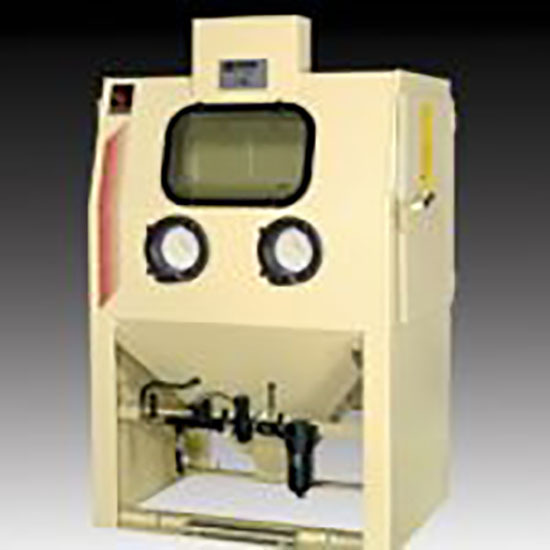 With an off-the-shelf Pro-Finish cabinet, you get a tunable media reclaimer, a dust collection system, your choice of pressure or suction powered blast, and many other standard features. 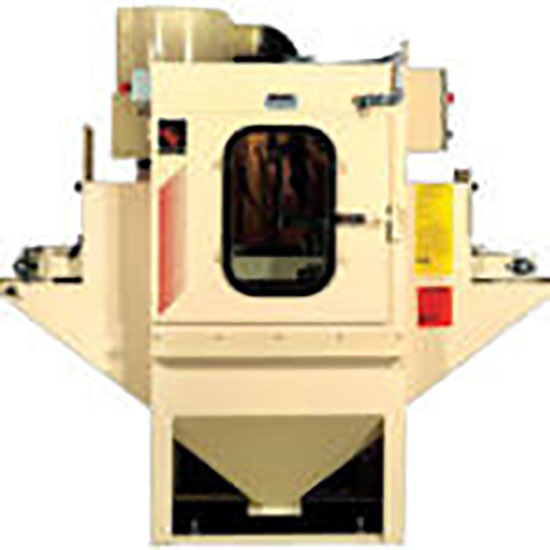 In addition, you can select from a wide range of in-stock factory options to meet your particular finishing requirements. If you need a powered or manual turntable, gun oscillation, additional blast guns, timer packages, special electrical, extended wear components or a vertical door, we can provide this equipment and other options without custom modifications. ProFormer™ cabinets put it all together in a single assembly that's easy to move and simple to hook up. These cabinets require only two connections, air and electrical, and include features offered in our high-production Pro-Finish® line. Plus, they now come in two sizes: the 3642 with interior working dimensions of 36 inches deep by 42 inches wide by 48 inches high and its bigger brother, the 4652, with a working space of 46 inches by 52 inches by 48 inches. 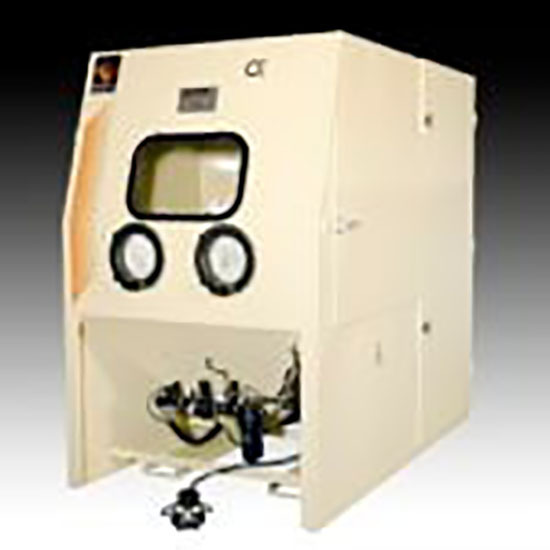 The Pro-Finish® Ergo System cabinets offer standard cabinet sizes from 2636 through 6060, with either a suction or pressure system. They get their name from extra ergonomic features such as a recessed front panel for leg room, adjustable arm rests, and an adjustable and movable foot stand with foot treadle. 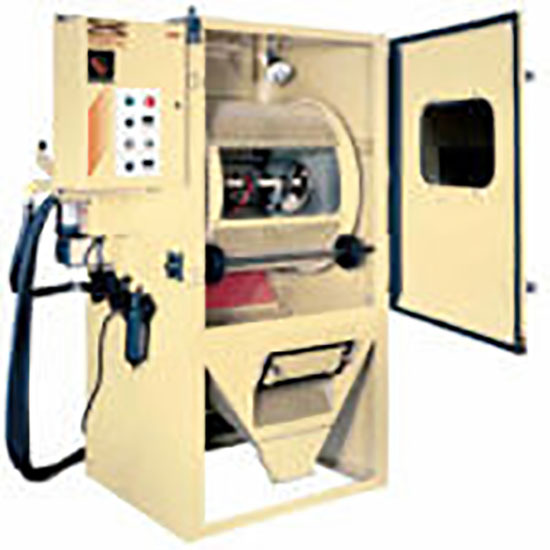 The system also has a top entry blast hose with a single blast station. Designed for light-to-medium cleaning and surface-finishing jobs, these economical cabinets combine sturdy, 14-gauge steel construction with the features you need to perform a wide range of finishing tasks. 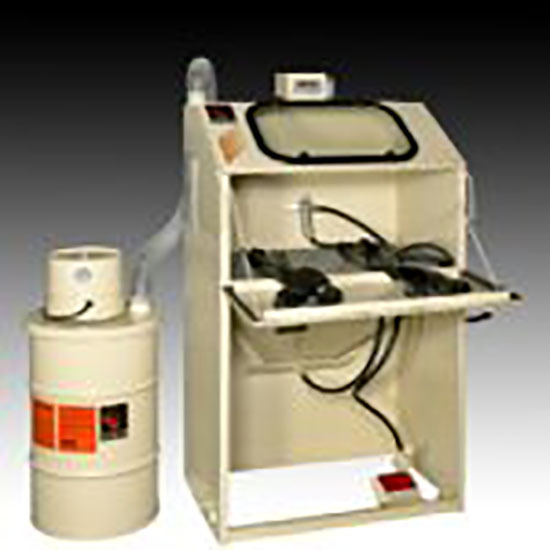 All Econo-Finish® cabinets are equipped with a foot treadle blast control for ease of operation, an external media-regulation device, quick-change safety glass and an improved dust-collection system. IL-885 Conveyor Cabinets costs 60 to 70 percent less than an automated in-line blast system, but delivers comparable results when used on short-production runs. Designed specifically for economy and light production, this cabinet incorporates all the proven features of Empire's standard Pro-Finish® line. 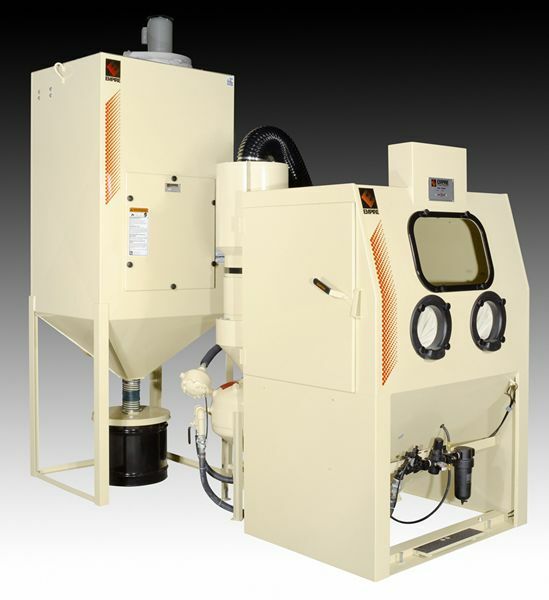 Continuous-Belt Air Blasters process multiple parts with the speed and economy of our Basket Blasters while expanding the envelope of tumble blasting from nuts and bolts to heavier work pieces.